My first plane ride was from San Francisco, California to Williamsburg, Massachusetts. I was fifteen years old. And, now, after just passing my thirty-second birthday, I booked a trip to Montreal, Quebec for a November conference. I have to be honest, it has me feeling some type of way. For some people, this won’t seem like a big deal. Some folx remember traveling via plane during elementary school or earlier. 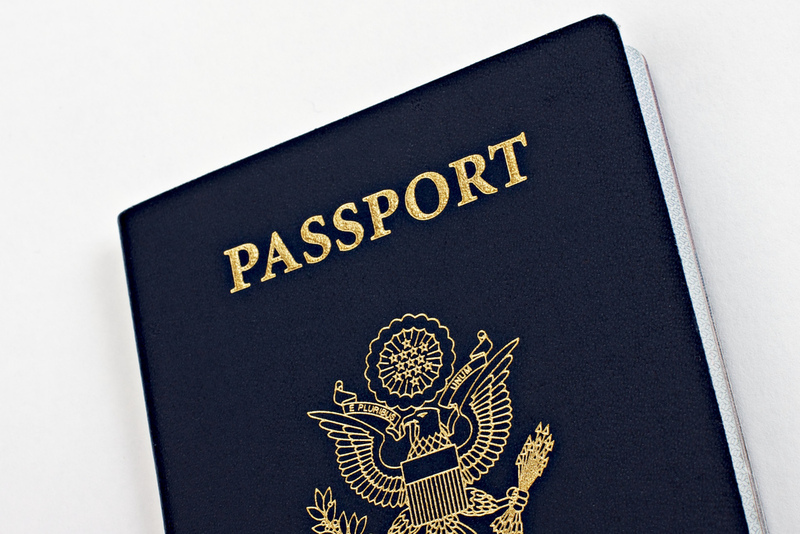 Others have had passports since before they could legally drive. I just wasn’t one of those people growing up. My mom was a single parent raising me in a 2 bedroom house in East Oakland. I dealt with a variety of issues growing up but she always made sure I had what I needed. Frankly, vacations in France or Prague weren’t on the needs list, so I never imagined I would be one of the people who ended up in those places. In fact, I remember telling my mom when I was ten or eleven years old that I wasn’t planning on ever even buying car. “I’m going to walk everywhere for the rest of my life, ” I told her. “Really? How are you going to get a job and take care of yourself without transporation?” she asked. “Oh, I’ll figure it out,” I said. Back then, my imagination and my perception of the limits of my possibility were quite small. When I finally got on a plane, it was actually through an outreach program meant to help inner-city youth expand their realm of possibilities by visiting other countries and states to do various projects. Some folx went to Poland and lived with host families while they learned about the local environment. Others when to South America to learn a new language. I, on the other hand, was terrified to leave the country at fifteen. So, when the opportunity presented itself, I stretched myself out of my comfort zone and got on a JetBlue flight to art camp. I still remember praying 33 times over the course of the six-hour flight. When I finally stepped foot on land, I wanted to kiss the ground. I didn’t. But I wanted to. I spent the entire summer getting to know young (mostly White) people from across the country and world. I was exposed to tofu for the first time. I learned about humidity. I met a girl from Boston who I am still friends with today. I began to imagine myself as not always bound by the freeways, train routes, BART schedules, traffic lights and bus stops that had determined so much of my journey up until that point. The following summer, I had an opportunity, through the same program, to attend a summer intensive training at Syracuse University. We got to choose a six-week course plan where we would be exposed to the academic environment, most of us for the first time in our lives. I chose architecture because I thought it was something I might want to do one day. But, I really spent the summer eating pizza and learning regional African American Vernacular English from other students from places like Baltimore, the Bronx, Brooklyn, Chicago, Detroit, and East Orange, New Jersey. In each case, I found myself somewhere new, somewhere where my usual hair maintenance techniques and tools were proving insufficient (read: I had never experienced humidity in my life but the east coast teaches you quickly). I pushed myself to meet people who, in some cases, looked nothing like me but found themselves sitting next to me in a pottery class. I asked questions about the cultural practices in other parts of the country. I investigated ideas about people and groups that I had known to be true only because my relative isolation limited my capacity to observe other people outside of my small circles. I learned. I grew. I realized my connectedness to so many communities across the nation and globe. I saw possibility. Now, as I prepare for my first excursion out of the country, all those feelings are rushing back to me again. It is more than mere excitement. While I will say that I am anxious about the newness of it all, I also feel an overwhelming sense of curiosity, hopefulness, and optimism about the world I will get to discover now that I have a passport. I began imagining myself in a cafe in Canada eating local produce and sipping hot chocolate. I started dreaming of a trip to Europe, to see the sights, eat real French bread, and taste pasta in Italy. While it may seem trite, becoming comfortable with hopping on a place and leaving my hometown to become a first-generation college student in Los Angeles gave me the confidence to move across the country for my doctoral degree in Chicago. Flying to Massachusetts and New York initiated my belief that I could spend time in somewhere that feels foreign and survive to tell the story. Now, my trip Canada has undoubtedly pushed me to start seeing myself as a global citizen. It has made the idea real. Now, when I talk with peers about doing justice work in Brazil, I see a day when I may actually be able to join them there. As fellow activists visit South Africa in solidarity with their work to preserve African Lives, I imagine myself there too. I don’t know where I am going to go next. I’m still a broke college student so I don’t see any extravagant trips in my immediate future. But, I do know that unlike my ten-year-old self, I see myself outside of the boundaries of the United States. I can imagine a time when I won’t have to marvel at postcards because I will be in them. Those feelings are political. They are disruptive. They are unsettling in the best of ways. I am excited for what is to come.